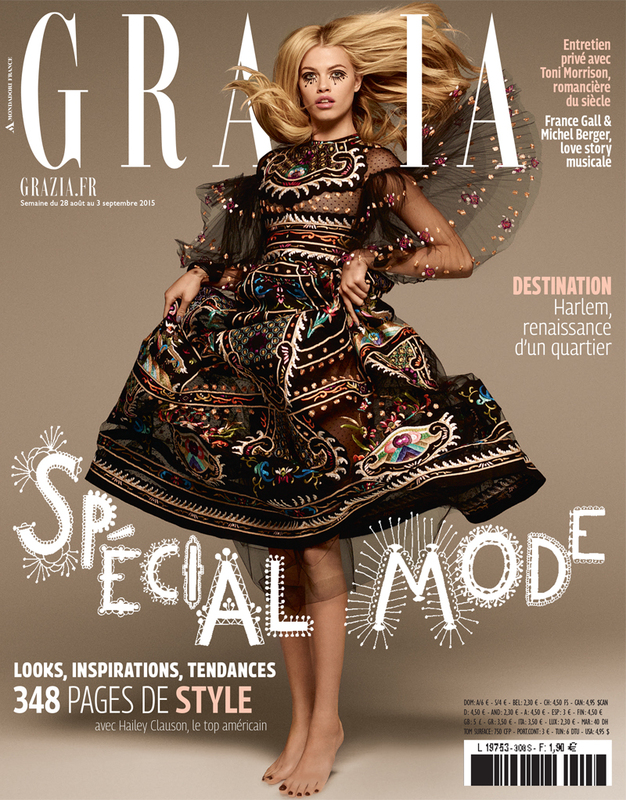 hailey clauson by jason kim for grazia france 28th august 2015 | visual optimism; fashion editorials, shows, campaigns & more! I like Hailey but that cover is awful. And I don't like the hair.